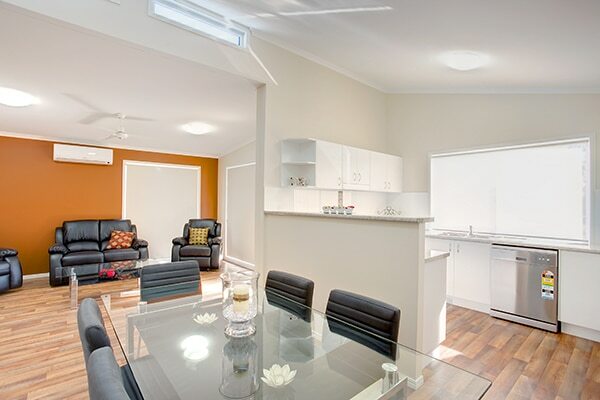 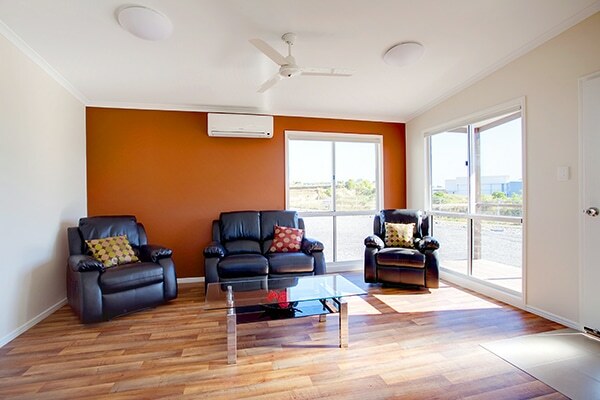 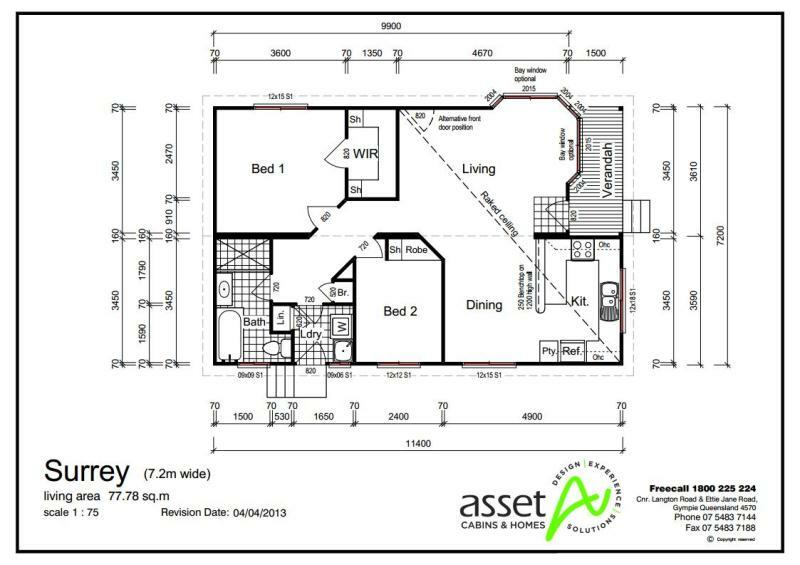 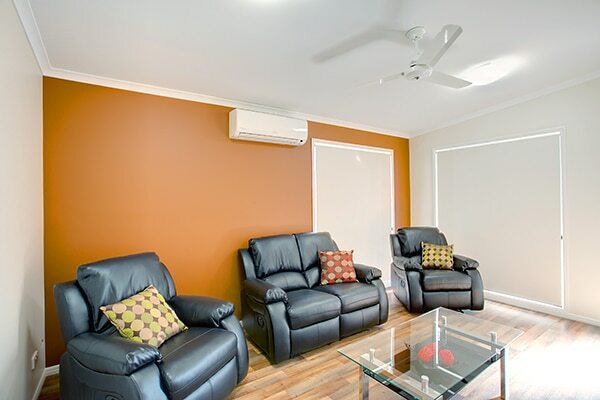 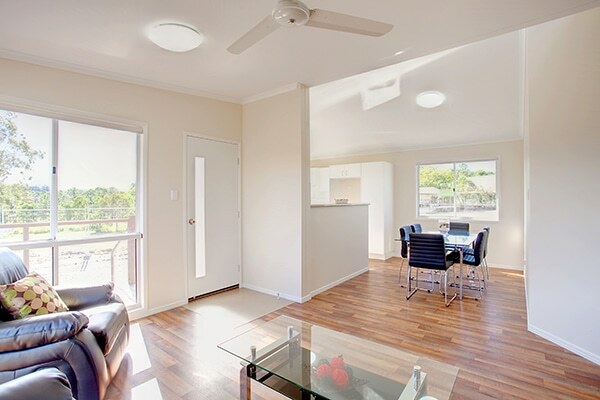 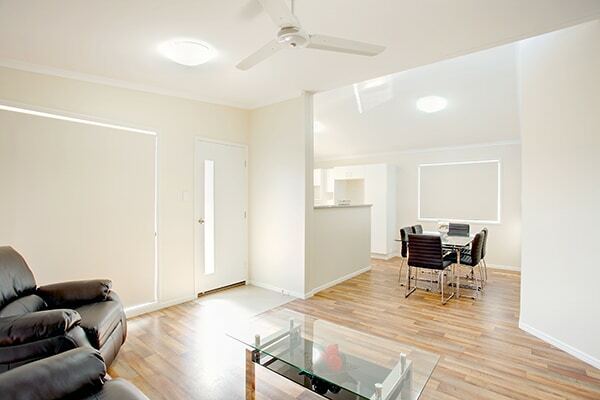 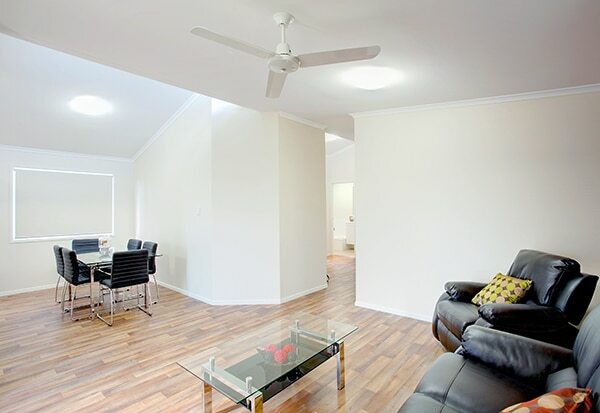 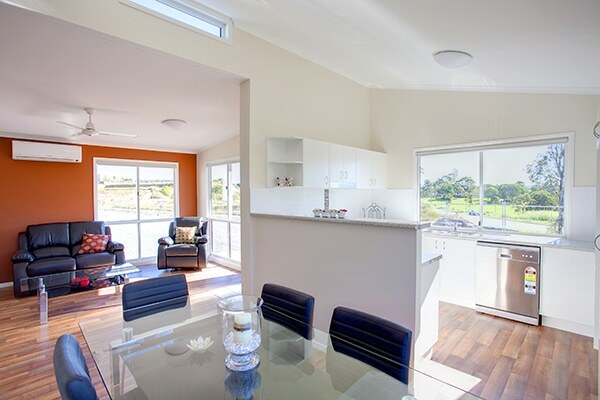 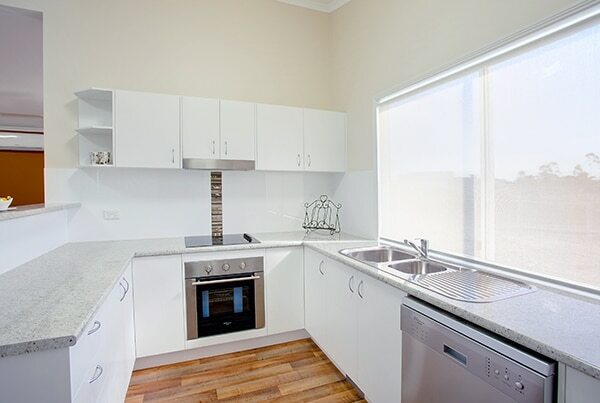 Surrey combines luxury and space-efficiency in a two-bedroom premium relocatable home. 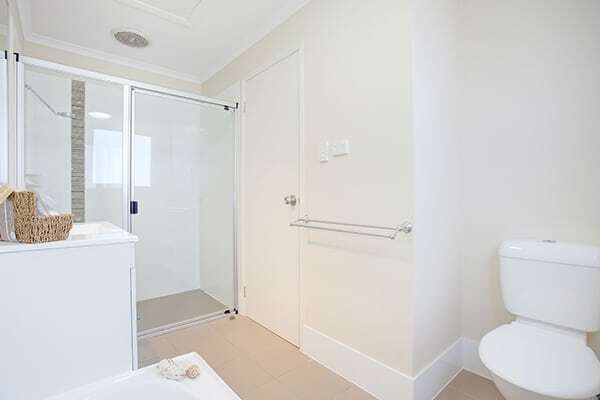 Off an angled hallway, the main bedroom features a walk-in wardrobe. 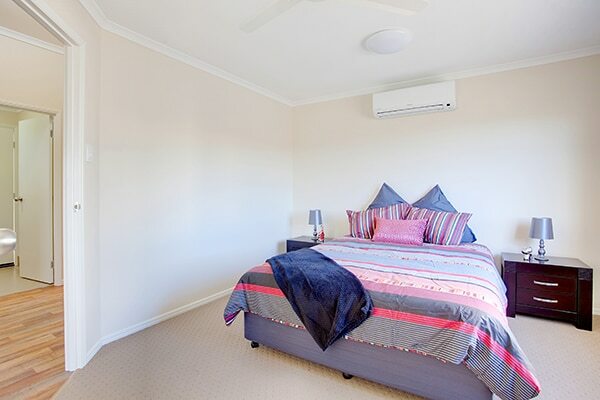 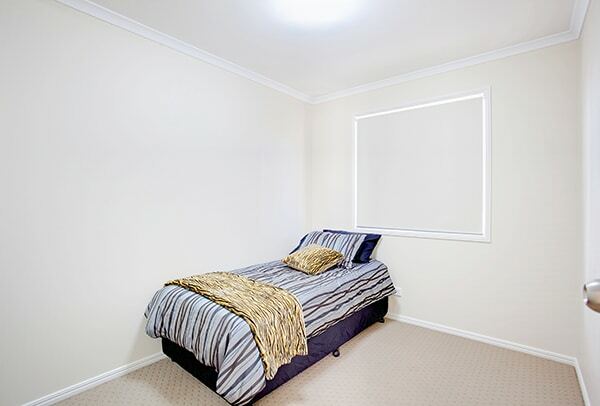 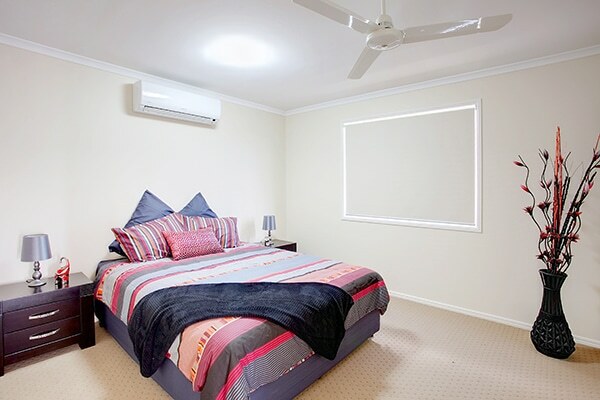 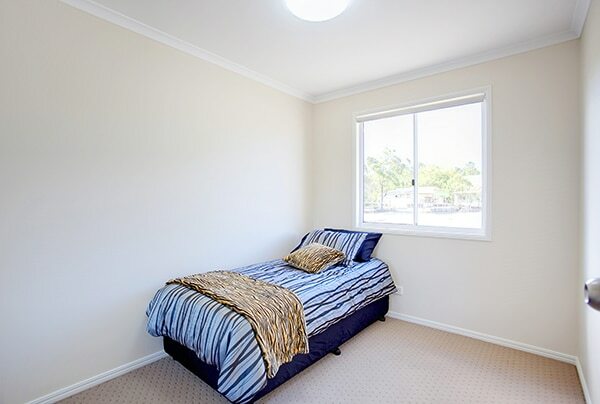 The second bedroom has a built-in wardrobe. 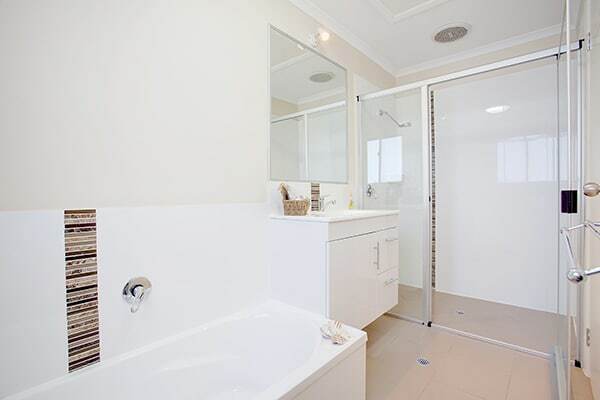 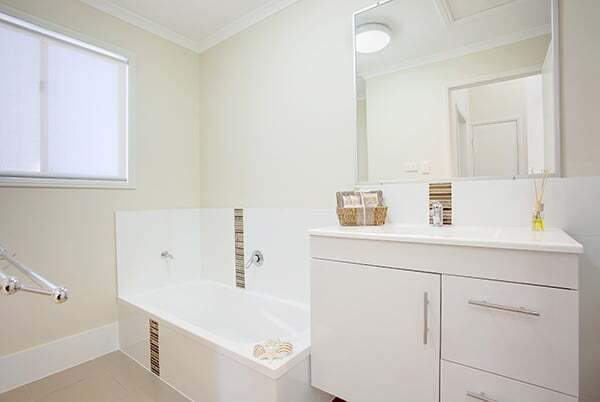 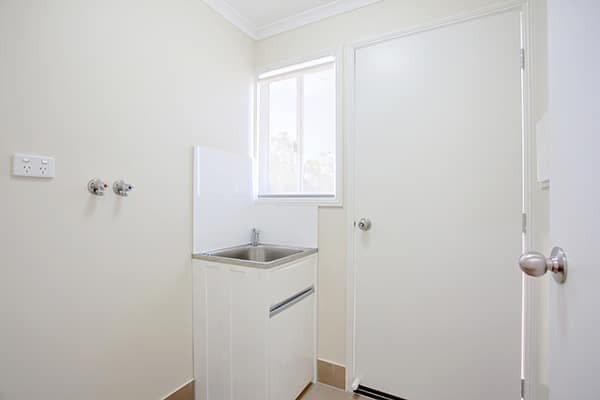 The bathroom has a bath as well as a shower, and the compact laundry doubles as a side entry door. 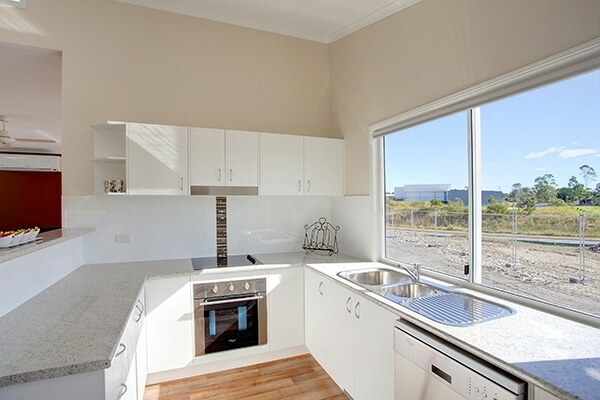 Under the dramatic raked ceiling lie a beautifully appointed kitchen and a spacious dining/living area that can be made even more stylish with optional bay windows.